The most talked about weight loss supplement: Is it safe, and will it make you lean? In my nutrition practice, I often get asked about weight loss supplements, as many people want a quick fix because they think their schedules don't permit them to cook at home or exercise regularly. Recently, I've been getting a lot of questions about green coffee bean extract. Ever since the supplement made its television debut on The Dr. Oz Show at the end of 2012, it has created quite a buzz. Dr. Mehmet Oz and his team conducted a study of almost 100 women between the ages of 35 and 49 who were overweight and had no preexisting medical conditions; pregnant and breastfeeding women were excluded from the two-week study. The Body Mass Indexes of those participating ranked between 25-45 – meaning the participating women were either overweight or obese. The test and control groups were asked to keep mandatory food journals. They were also encouraged to leave their diets and lifestyles unchanged. The women took either the green coffee bean extract or the placebo three times a day 30 minutes before each meal. The group of women who took the green coffee bean extract lost an average of two pounds. However, the group of women who took the placebo lost an average of one pound. For reference, healthy weight loss should be one to two pounds per week. I typically see a client's weight drop after he or she has been consistent in keeping a food journal for two weeks. So, the result of the control groups weight loss wasn't a surprise. The results of the control group were most likely due to their required food journaling during the two-week period. Green coffee bean extract is found in unroasted coffee beans. The beans are boiled in distilled water and then the mixture is cooled for at least an hour. The main component of green coffee is chlorogenic acid. It is responsible for inhibiting the formation of fat. When coffee beans are roasted, they go from their natural green color to a mahogany brown. 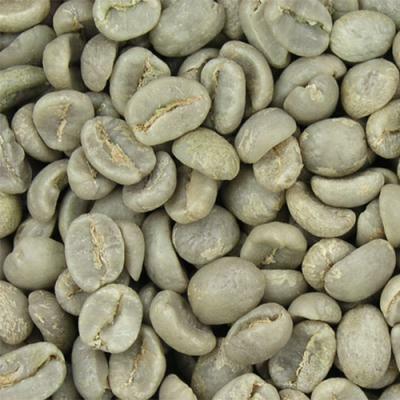 During the roasting process, the amount chlorogenic acid is decreased significantly. Therefore, regular brewed coffee does not have good fat burning capabilities. Commonly asked questions, then, are: Does green coffee bean extract help shed pounds, and is it safe? A study published in the journal of Diabetes, Metabolic Syndrome and Obesity suggests that chlorogenic acid may help to decreases the absorption of fat and carbohydrates, as well as fire up the metabolism. Therefore, it may also be responsible for the decrease risk of Type 2 Diabetes. But green coffee beans aren't the sole source of chlorogenic acid. It is also found in various vegetables, like cabbage, carrots, and cucumbers. There's still a lot of speculation buzzing about Dr. Oz's Green coffee bean extract study. Further clinical studies are needed in order to determine whether there may be harmful side effects from taking the supplement. According to Dr. OZ, the green coffee bean supplement should contain at least 45 percent chlorogenic acid extract. The bottle should always list ingredients. Chlorogenic acid extract will be listed as GCA® (green coffee antioxidant) or Svetol®. It should not contain any fillers or artificial ingredients. Do not take Green coffee bean extract if you are pregnant, breastfeeding, or under the age of 18. While I often recommend certain vitamin and mineral supplements, I do not advocate "weight loss" pills, like this green coffee bean extract. When it comes to weight loss and maintaining an ideal body weight, I tell clients there's nothing more effective than eating healthy and exercising regularly. Weight gain doesn't happen overnight. Likewise, weight loss is a process of making healthy decisions that become habit over time. Helen Agresti is a Registered Dietitian and founder of Professional Nutrition Consulting, LLC. She's ready to answer your questions about food trends, healthy eating, and all things food! You can contact her at hAgresti@ErieReader.com, and follow her on Twitter @HelenAgresti.